Defective Parking Ticket Strategies | Citywide Parking Ticket Service, Inc. 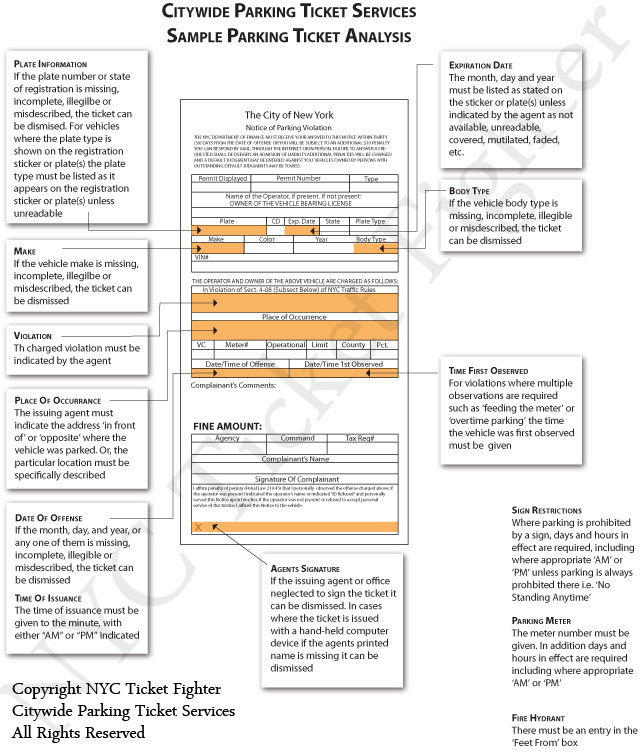 If you have received a parking ticket in New York City, it will appear similar to the diagram illustrated below. The first line of defense in fighting an unfair New York City parking ticket is to look for errors or omissions on the ticket itself that could render it invalid. Reasons your parking violation may be defective are highlighted below. Citywide will review your parking ticket and apply additional research to find potential defense strategies.